Can the 3DS Replace Your Smartphone? 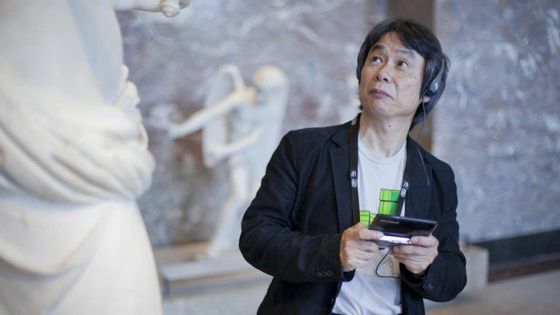 Shigeru Miyamoto, creator of Mario, Zelda, and more, was recently seen using his 3DS as a tour guide at the Louvre in France. Most people would rely on their smartphones for virtual tours like this. Luxury comes at a price. This especially applies to the greatest hit of the 21st century: smartphones. Not only will you have to pay an initial price of $200+ for a high end smartphone, but you will then also have to pay expensive monthly fees. What if the 3DS could fill your need for a pocketable media device, allowing you to save money and switch back to using a basic phone? Alright, I'll reason with you, at its current state the 3DS is incapable of replacing a smart phone in terms of functionality. However, with hardware updates in the future, Nintendo has the opportunity to snag a bit more market share. With later iterations of the original DS we saw downloadable DSi apps, a camera, a better screen, and more. Who's to say the same hardware advances will not also affect the 3DS in the coming years. It is very likely the next model 3DS will include 3G connectivity and can be purchased from wireless carriers such as Verizon as AT&T. 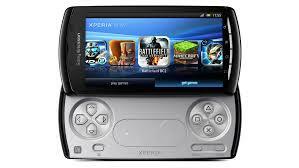 This would not be unheard of, as Sony was even more daring with their launch of the Xperia Play in 2011. Not only did Sony offer 3G connectivity with this device, but it was a fully functional smartphone with the ability to play PSP games out of the box. Considering Nintendo's history of fearlessly innovating for better or for worse (let's please forget about the N64 controller, Wii Fit pad, and pretty much everything involving the Wii U so far), they could easily make such a breakthrough with the next 3DS. If Sony was bold enough to merge a smartphone with a PSP in 2011, Nintendo should be bold enough to do the same two years later. Online connection anytime and anywhere will not be enough for your 3DS to kill your smartphone however. The Miiverse is a fantastic online community that exists solely on the Wii U, though it seems even more logical on the 3DS. Socializing with friends on the go has become a major appeal of smartphones, just look at the amount of downloads on the official Facebook app for any of the mobile platforms. Integrating Miiverse into the 3DS firmware would be a giant leap forward from the current state of the handheld console, which frankly lacks any easy way to communicate with friends. Bringing a wider audience to the 3DS with the introduction of a mobile Miiverse would give Nintendo the install base it needs to bring other social networking apps to the eShop. Third party apps, most importantly social networking apps, are an essential part to Nintendo's war on the smartphone. If one cannot tweet about every time he or she eats a meal, why would he or she bother buying a dedicated handheld console. Though this brings us to our biggest problem, which branches from Nintendo's infamous stubbornness the gamers yearning for next-gen experiences since 1995 have come to hate. The fact that the 3DS is designed and marketed to be a dedicated handheld gaming device is easily its biggest downfall. Even the PS Vita, despite the fact that it is an utter failure of a gaming machine, can run applications such as Skype and also smoothly runs a capable and modern web browser. Of course the PS Vita also has 3G. If the Vita were also a great game console, which it is not, it would be selling much better than the 3DS because it would be more than just a system specific games can be played on. To survive in a hostile mobile tech market, Nintendo needs to do more than innovate. They need to "wow," something they unfortunately have not done since the launch of the Wii. Nintendo seems to lack aggression when they need it most, but perhaps one day the 3DS will have what it takes to put your smartphone to sleep for good, however unlikely it may be. I'd happily have a cheap piece of rubbish for calls and texts then carry around something like this for when I want something to do.